We created a Storify version of the live-tweeting of History Day 2016. Keep reading to check out who spoke and find out about the subjects of their talks. It has become an annual tradition to take a cold winter day to celebrate History at Fordham. This event, History Day, offers an opportunity to learn some of the interesting things that the Department is doing. Organized into panels, faculty, graduate students and history majors share their work with the wider Fordham community. We will be meeting this year in the Campbell Multipurpose Room (with coffee and donuts). This year we have some exciting events. 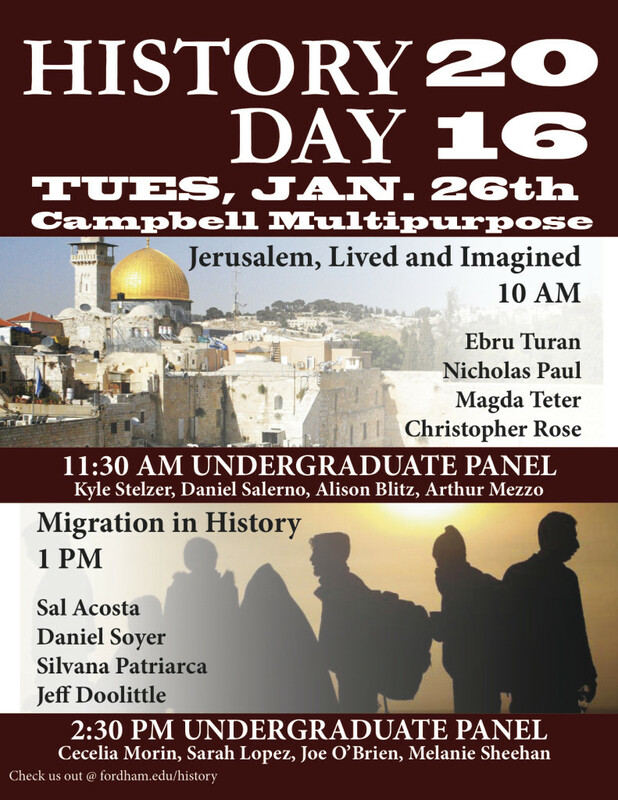 The day kicks off with a 10:00am panel discussion of Jerusalem in History. Jerusalem is perhaps the most significant place on earth. 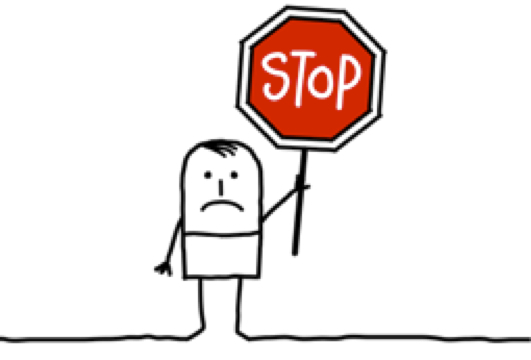 It is central to three faith traditions, has been the site of enormous conflict and remains an object of political conflict at this very moment. Our panel will try to give a sense of the historic depth of Jerusalem’s significance. At 11:30 we will have a group of majors presenting their research from the last semester: Kyle Stelzer, Daniel Salerno, Alison Blitz, and Arthur Mezzo. At 1:00, we will have a panel to discuss how migration has shaped the historical experience of the United States and Europe. This group will grapple with different types of migration, how it has impacted the host society, and how the the memory of migration can be used. Finally, at 2:30 we will have another group of majors presenting their work: Cecilia Morin, Sarah Lopez, Joe O’Brien, and Melanie Sheehan. Come join us and discover what is happening here at Fordham! If you have to step away, you can follow highlights on Twitter: @FordhamHistory. Comments Off on History Day 2016!